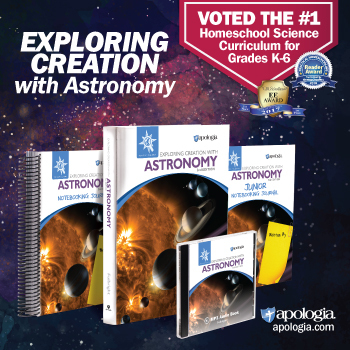 Are you trying to give your child the perfect education or the perfect homeschooling experience? Are you trying to be a perfect homeschooling mom? If you think about this logically you’ll know that this isn’t possible. In our hearts, however, parents want to do the best they can for their children, do the most possible for their children… and we often beat ourselves up when we fall short. Relax! You are not perfect and God doesn’t expect you to try to be perfect. Us moms, especially, need to cut ourselves some slack. The memories your children keep the longest won’t necessarily be WHAT you did with them but WHAT KIND OF ATTITUDE you did it with. If you are stressed because you feel you aren’t measuring up, that will negatively affect your child more than if you aren’t teaching a lesson well. Having chosen to homeschool, you may find that your house stays messier and your laundry never quite gets put away… If this stresses you out, you need to remember what’s really important in life. When you’re on your deathbed, will you regret that you didn’t keep your house cleaner – or will you regret that you didn’t enjoy the time you had with your kids because you were stressed out about not feeling like you were measuring up. You Need to Take Occasional Breaks – We recently went on a family camping trip. My husband and my sons went off by themselves fishing several times. They absolutely loved it! When they would go off fishing, I would stay back at the campsite and read a good book. Our boys discovered that they LOVE to fish, so I got a lot more reading time in that I thought I would as well. I felt so recharged after that trip, having had some long overdue time to myself. Accept Help from Others – You can’t do it all. You may think that since you’re home all day you should be able to run the entire household singlehandedly. Homeschooling is a full time job. You will need to accept help from your husband and kids in order to get everything done. You Are NOT Perfect – Don’t expect perfection from yourself or from others. No one is capable of being perfect! Be Flexible – Things won’t always go according to your plans. That’s alright. You must be flexible and adapt to your current situation. Remember, some of the best homeschooling lessons for you AND for your kids are when things go off of plan and are spontaneous. A book which you may find helpful is called “Lies Homeschooling Moms Believe” by Todd Wilson. Todd explains how all homeschool moms feel like they are doing a terrible job. Seriously! Why do we all feel like we are failing? Quite often, it is because we are burned out, discouraged, or experiencing overload. Try to enjoy your role as homeschooling wife and mother! And be flexible. If you can adapt to changing circumstances and stop sweating the small stuff, you and your family will end up on top, no matter what comes your way. Question: In what ways do you see this in yourself? How do you expect yourself or others to be perfect? Please leave a comment below. Planning your homeschool day will help keep you organized and reduce stress for your family. A daily schedule will also allow your children to get into a routine and know what to expect from their homeschooling experience.